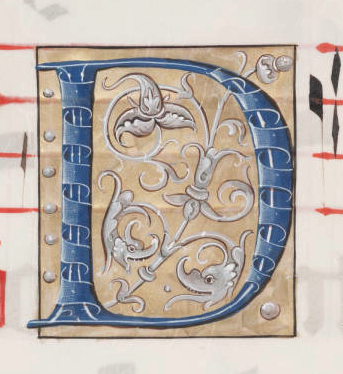 An even dozen lovely illuminated letter D images for you to play with. 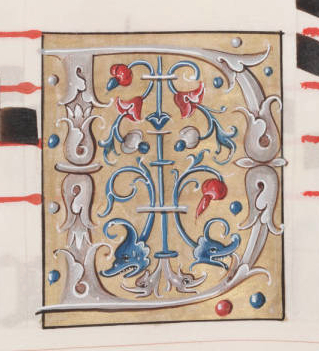 They are from a 16th century manuscript most likely created for the Catholic Church. 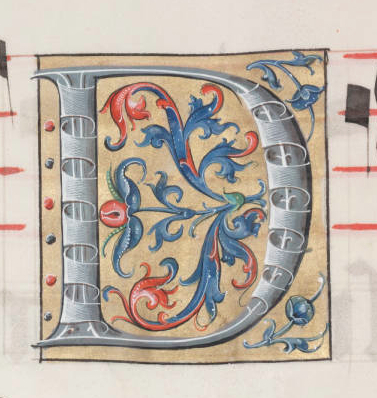 Imagine, someone or a group of folks, drew all of the lyrics and score of the religious music included in this large book. 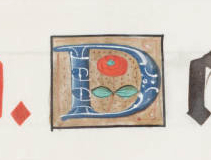 They also hand drew each of the gilded and ornamental letters that were scattered throughout the work. Each page is a work of art. 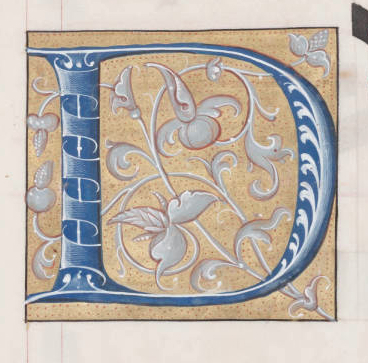 And, how fortunate are we that it survived all these centuries and a university library shared photographs of it with the world. 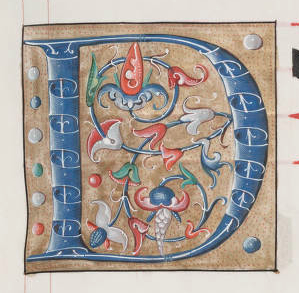 The illuminated letter D images were drawn in two different sizes. Not all exactly the same but what I would say are bigger and smaller. Some of them were gilded. 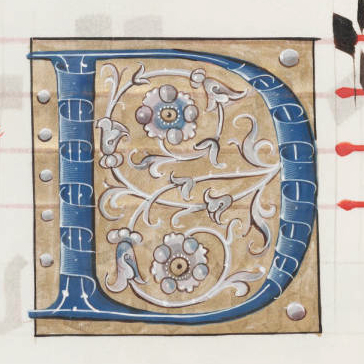 The letters were drawn in white or blue. 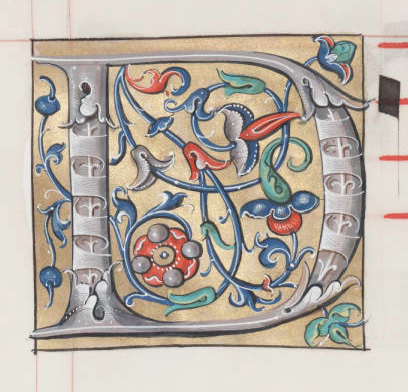 The decorations included flowers, vines, leaves and a variety of ornamental flourishes. I opted not to edit these images. My thinking is that way you can decide if you want to square them off or leave the hand-drawn, sometimes uneven lines. There’s also some paint smears and a few places where the artist went outside of their own lines. Leave them for the quaintness they add, or remove them in the pursuit of perfection.